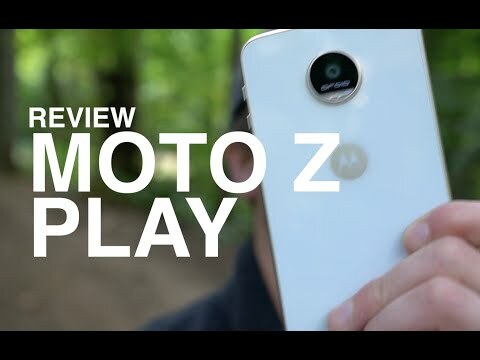 Moto Z Play is an excellent midrange phone! For an affordable price it offers premium design, good specs and a well-rounded software experience. Display is bright and colorful. The camera is also great and offers good quality images for the price point but Low-light performance isn&apos;t as good! It also has a pretty great selfie camera with a front facing flash. The phone is well built but It has a glass back which is quite slippery. Though it has the only Snapdragon 625 but it&apos;s fast enough to satisfy your common phone needs, and there&apos;s no sluggishness. The fingerprint scanner&apos;s placement is quite weird but it works quickly. The most amazing thing about the Moto Z Play is its battery life! If you want a phone that you can go days without charging, get the Moto Z Play. Moto Mods are some of the most interesting and unique add-ons you can buy for your Moto Z Play. From a projector to a speaker to a battery add-on, there are so many interesting things you can do. I love this phone. I think it does everything right,looks like the best available mid range device If someone was asking me for advice on a mid tier phone to buy, this would probably be my recommendation. MOTO Z PLAY: Comparing the prices of MOTO Z with MOTO Z Play, and also comparing it with MOTO X PLAY, the features of this phone stands out with its features and the return on price(value for money/Paisa vasool as we fondly call it in India). Thanks to Price Baba, I could compare the prices, the features and the availability. The only stark difference of this phone from MOTO Z is about the size and the thickness + supposedly the Storage and the ram, which For the price difference of around 15k is quite acceptable. But then the Camera MP is higher and has almost all the features that are offered on by Z. Image stability can be obtained on both. As comparison to MOTO X PLAY the price difference is about 4-5k and this brings about a lot more to the table than the X. Also the chance to use MOTO MODS on this is amaze. Would like to try the projection and photo mod for this for a road trip, would be splendid, provisional to its 45 hours battery life and adventure pro status. So Imagine you have to go on a trek or a road trip or running or whatever tickles your fancy and not have to carry a bulky camera, just this phone and some mods. You can let the phone drop down, be in your pants and you drop down, drop down your pants with the phone in the pocket, play catch with your dog and this phone(pls don&apos;t do this seriously, get a frisbee for 215 indian gods sake), but shock resistant(not the shock that your parents give while they take you to see a girl in pretext of dinner), have a go at trying new photos by self timer and throwing your phone in the air(stabilises pics like a boss), take a movie with you(like taking your girl/boy on a drive and surprising her/him to their fav movie using the projections mod), Make a boombox out of your phone(there is a mod for that) and all this while you are still fidgeting all the possible social media apps. ALL OF THIS CAN BE DONE WITHIN 45 hours, that means you gotta charge this phone just once. PLUS SOMETIMES PICK UP or MAKE CALLS on this phone, Keep a little respect & integrity, its a phone in the end. Moto Z play is one of the most advanced phones available. The phone has advanced camera features, fingerprint sensors, voice command. This phone beats any other competitor. With good value for money, this is the best bet. 20 Pricebaba users have written their experience with Motorola Z Play 32GB. If you own Motorola Z Play 32GB, please do leave your feedback too. Lowest price of Motorola Z Play 32GB price in India starts at Rs. 21,990 Motorola Z Play 32GB is available on Amazon at Rs. 21,990. Prices updated on 19th April 2019. Lenovo India launched it's Moto Z and the Moto Z Play phones in India in October 2016, the same day when Google announced Google Pixel and Google Pixel XL. Moto Z being the elder brother to the Moto Z Play is a flagship device from the Moto brand whereas the younger brother Moto Z Play is a dumbed down variant. Much like the Moto Z, the Moto Z Play has got a glass on the back with metal sides. The phone looks premium and is good to hold. On the front of the device sits a 5.5 inch Full HD (1920x1080 pixels) AMOLED display that gets a pixel density of 401PPI. There is Gorilla Glass protection on the display. In terms of performance, the Moto Z Play sounds like a decent bet. The phone sports a Qualcomm Snapdragon 625 processor that is clocked at 2GHz and paired along with the processor is 3GB of RAM. On the software front you get the standard clutter free Stock Android Marshmallow out of the box and is said to receive Android Nougat update soon. Apart from the performance, Moto Z Play also sports a fingerprint sensor on the front and below the display. Also the phone has water repellent nano-coating. The rear camera of the Moto Z Play is a 16MP sensor with Laser Autofocus & Phase Detection Autofocus (PDAF) that ensures fast focus locking and the Dual Tone LED Flash ensures natural looking shots and videos. The rear camera can record videos up to 4K. On the front you get a 5MP selfie shooter that can also be used for video calling. The front camera also has an LED Flash to lighten up those low lit party places. To store all the pictures and other data you get 32GB onboard storage that can be further expanded up to 2TB MicroSD card. To power all these great specs there is a 3510mAh battery that supports TurboPower technology to quickly charge the huge battery via a USB Type-C port. Unfortunately, the device lacks wireless charging support. Talking about connectivity, the phone accepts Dual Nano SIM cards and supports 4G LTE in India with VoLTE. Besides, the Moto Z Play also has the standard WiFi, Bluetooth and NFC as connectivity options. 1. Is the battery removable? - No, the 3510mAh battery of the phone is not user removable. 2. What type of charging connector do I need? - This phone uses the USB Type-C port for data syncing and charging. 3. Will this phone work with Reliance Jio network? -Yes, this phone supports VoLTE out of the box and should work well with Jio network. 4. Does the phone support USB OTG? - Yes, the phone does support USB OTG. 5. How much time does the Motorola Z Play 32GB take to charge?